Jessica completed a Bachelor of Arts at the University of Melbourne in 2004, and after taking time to travel and work she commenced a Graduate Diploma of Psychology at the University of Melbourne in 2008 which sparked a passion for the field of psychology and led to further study. Jessica continued her studies at the University of Ballarat (now Federation University) completing a Post Graduate Diploma of Psychology in 2009 and a Master of Psychology (Clinical) in 2011. Since completing her studies Jessica has gained experience in providing assessment and treatment across a range of settings including private practice, community health, disability support and forensic services. She has received formal training in the diagnosis, assessment and treatment of a range of psychological disorders across the life span. Jessica quickly developed a passion for working with parents during preconception, pregnancy and the early parenting years. Jessica has assisted expectant and new parents to manage pre-existing mental health concerns, as well as the psychological and interpersonal stressors that can arise during what can be both a challenging and wonderful period of adjustment and growth for both parent and child. 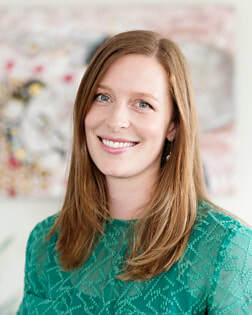 In her Mornington Peninsula private practice, Jessica focuses on providing assessment and treatment for women and their families during the perinatal period and early parenting years. She has special interests in the psychology of early attachment, perinatal mental health, and the science of infant and child brain development. Jessica is particularly passionate about assisting parents to establish positive attachments with their babies, to help nurture resilience and strong emotional connections between parent and child. Jessica offers a warm and empathic approach to the therapeutic process, working collaboratively with clients to develop an individualised treatment plan. A range of evidence-based treatment approaches are utilised dependent on individual needs, including cognitive behavioural therapy (CBT), acceptance and commitment therapy (ACT), interpersonal therapy (IPT), neuropsychotherapy and mindfulness-based techniques, as well as drawing on evidence-based attachment and psychodynamic theories. Jessica has completed the University of Sydney continuing professional development training in Perinatal Mental Health and is a trained facilitator of the Circle of Security Parenting Program.